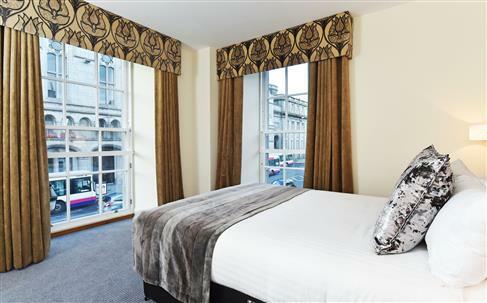 Located in one of Aberdeens most iconic buildings, the Royal Athenaeum Suites offer fully serviced luxury apartments in the historical city centre. 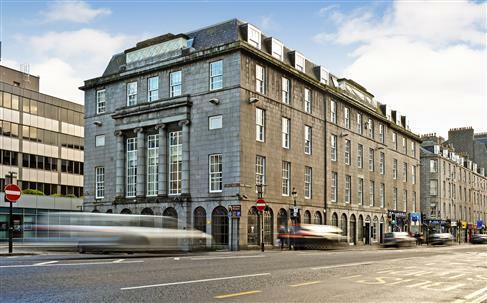 Built between 1819 and 1822, by renowned local architect Archibald Simpson, the historical Georgian building was originally a newsroom/reading room, and later became a popular restaurant and hotel, taking a huge part in Aberdeen society. 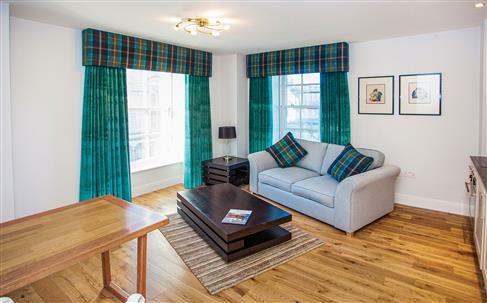 The individually decorated apartments range from studios to 1 bedroom apartments, and combine the old Georgian style with modern luxury furnishings and decor. 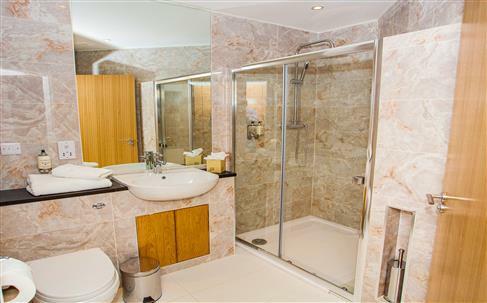 Each apartment offers a king sized bed, air-conditioning, free high-speed WiFi, a fully equipped kitchen, marble bathroom with shower and hairdryer. 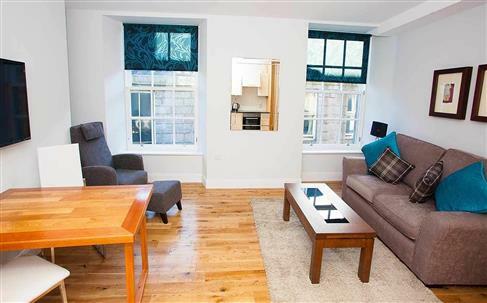 Upgrades include a dining area with sofa, and include dishwasher and washing machine. 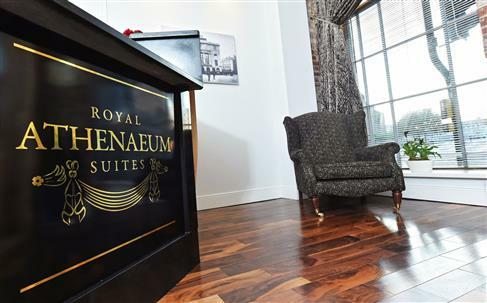 The Royal Athenaeum Suites are operated by the Aberdeen Douglas hotel, and also benefit from a 24-hour front desk and a dry cleaning service. 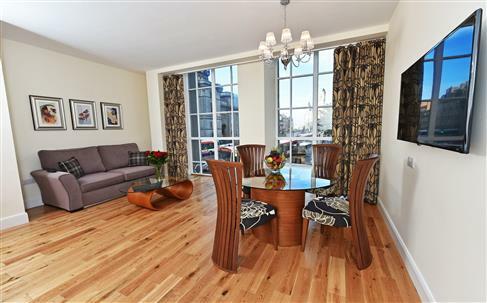 Mollys Bistro located at 45 Market street, close to the apartments. 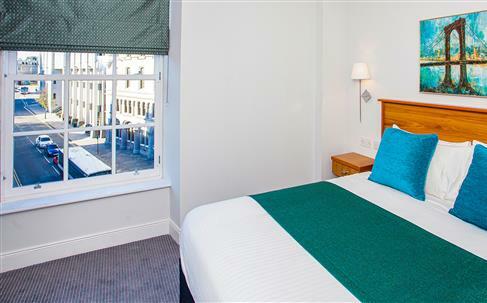 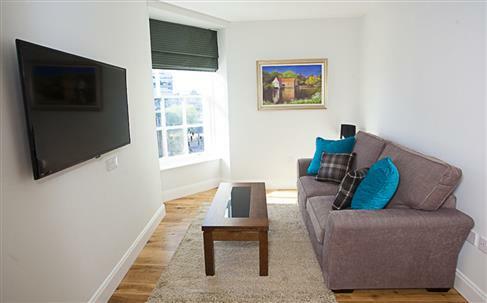 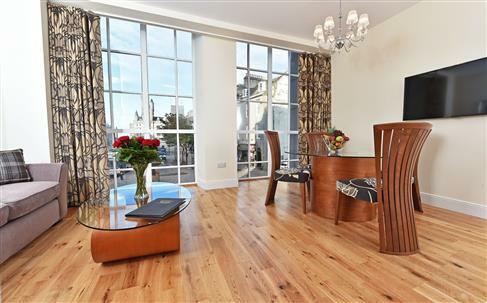 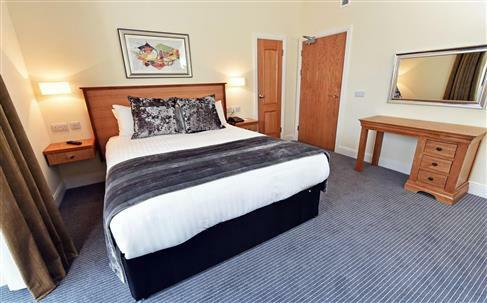 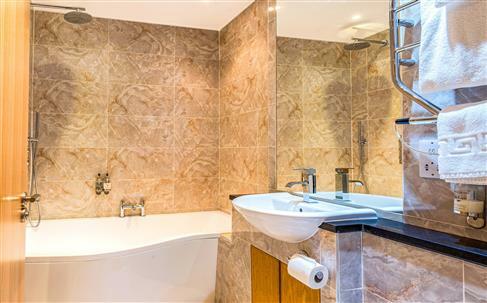 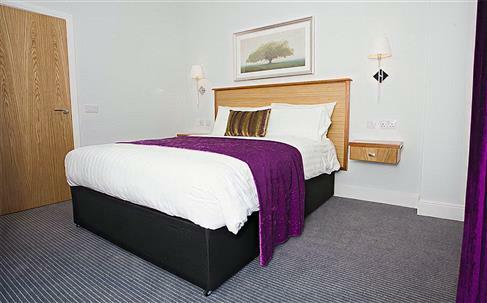 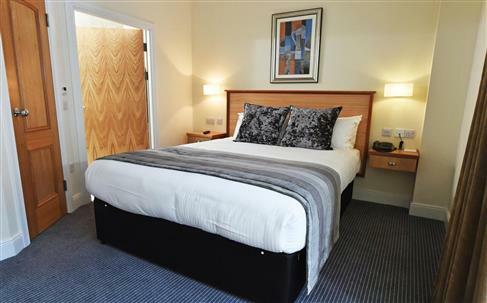 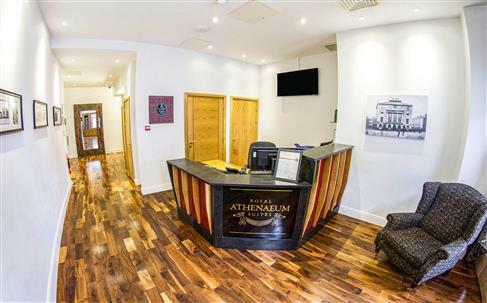 Situated in Union Street, overlooking the Town House/County Hall and the historic Castlegate area, the Royal Athenaeum Suites offer unparalleled city views in the heart of the Granite city. 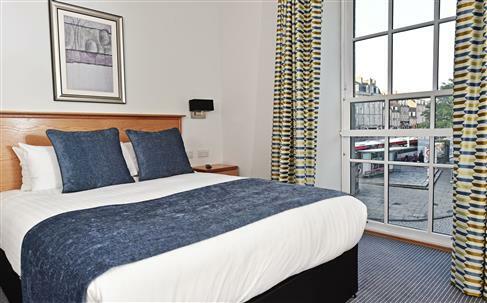 Marischal College and Aberdeen City Council are a short 3 minute walk from the Royal Athenaeum (0.2 mi/ 250 m); and the popular Bon Accord and St Nicholas shopping mall, a 5 minute walk away (0.3 mi/ 450 m). 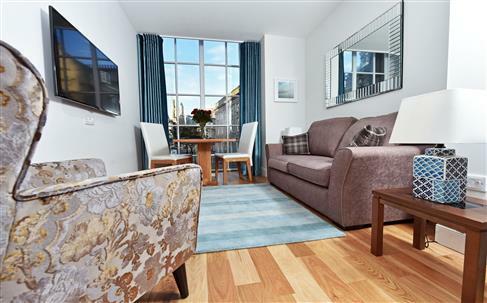 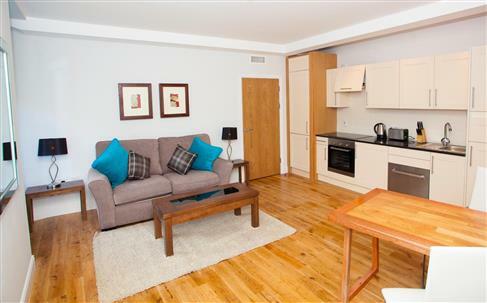 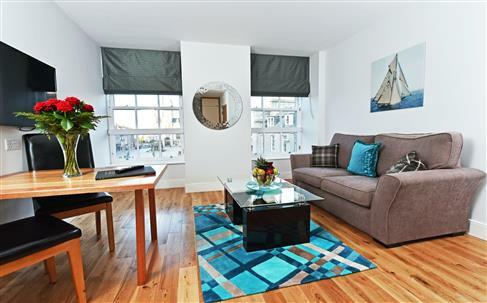 The property is located a 6 minute walk from Aberdeen Train Station (0.3 mi/ 500 m) and a 14 minute walk from Aberdeen Ferry Terminal (0.6 mi/ 1 km). 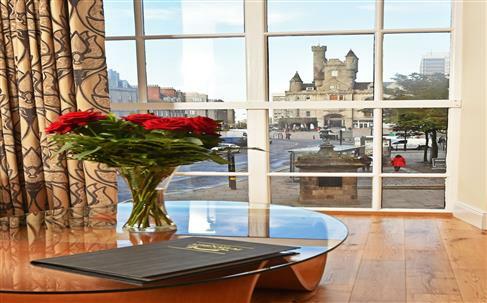 University of Aberdeen is located 1.7 miles (2.8 km) away, and Aberdeen airport 6.4 miles (10.3 km) from the Royal Athenaeum.